Agroprodmash exhibition attracts over 50 exhibitors from India. Indian companies looking to increase trade and find partners in agricultural businesses are exhibiting products at the Agroprodmash 2016, Russia’s premier exhibition in the food processing sector. 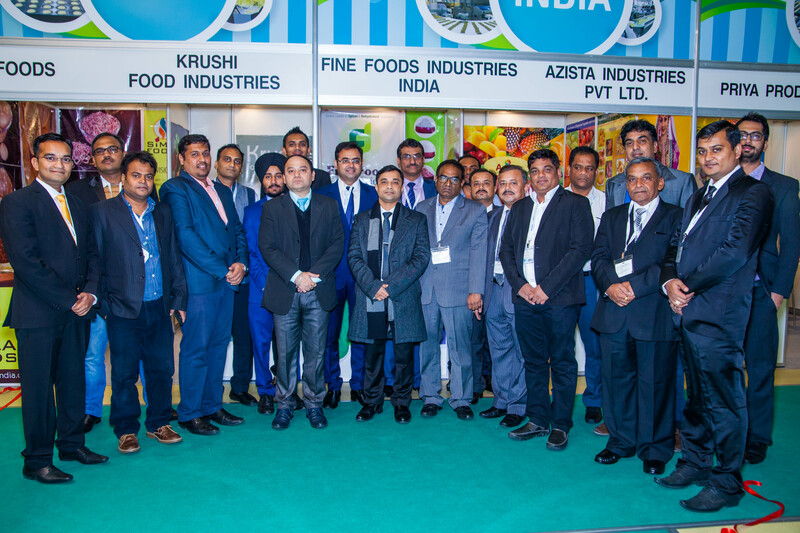 Around 50 exhibitors from India are part of the India Pavilion in Agroprodmash 2016, Russia’s most important exhibition in the food processing sector, now being held in Moscow. The India pavilion at the fair has been organised by FICCI (Federation of Indian Chambers of Commerce and Industry) and the Indian Ministry of Commerce and Industry. Amit Telang, First Secretary Economic at the Indian Embassy inaugurated the India pavilion. Also present were representatives from the Russian Chamber of Commerce and Industry (RFCCI) and Indian and Russian Media. Telang stressed that strengthening economic relations between India and Russia is one of the top priorities for both the Governments, and participation by Indian businesses in such exhibitions provides the desired impetus to government efforts to enhance awareness of potential of Indian market in Russia and provide a necessary interactive platform for both sides. Cooperation in the agriculture and food processing sector is a promising area and has been in focus over the last few years. The exhibitors will participate in Business Seminars, and be able to organize buyer –seller meets, while interacting with Russian businesses to source products from India, and draw a road map for future collaboration. Agroprodmash attracts over 800 exhibitors from all over the world and 21,000 trade visitors from over 60 countries. It is a perfect platform to explore new market and business opportunities, generating sales leads and meet potential trade partners. Russia is a potential market for Indian exporters of ingredients & Additives (Guar-gum, Sesame Seeds, Ground Nuts, Fruit Pulps and Concentrates), food packaging (Materials and Equipment) and food processing machinery. It is the most important exhibition in food processing sector in Russia, servicing the growing requirements of the food processing industry for the past 20 years. The annual exhibition plays a vital role in accelerating and streamlining the pace of change, while providing an ideal platform for exporters from this sector to showcase their products and capabilities.